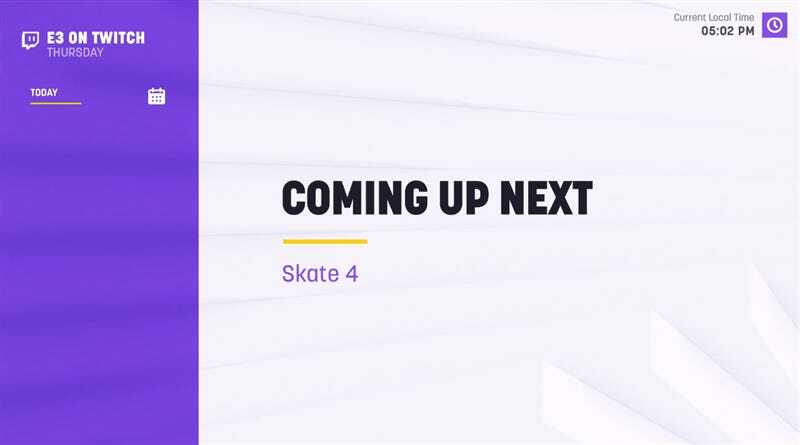 Skate fans were hoping for a Skate 4 announcement at E3 this week, and when it didn’t come, folks were bummed. 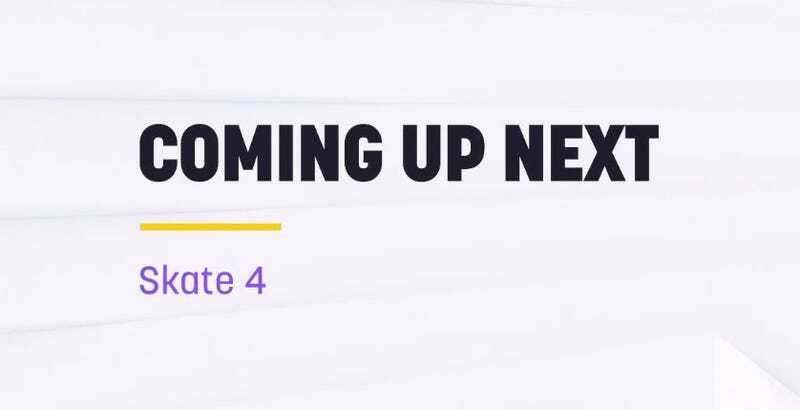 Anyone watching Twitch’s official coverage of the show earlier tonight, though, were treated to a few moments of delicious hope...before having it snatched cruelly away once again. Note: for folks who don’t use Twitch, that’s a Kappa emote because this was a troll and that’s what it’s for. Look at it this way, Skate fans. One day, EA may actually announce the game. And this might all have been worth it. Maybe.